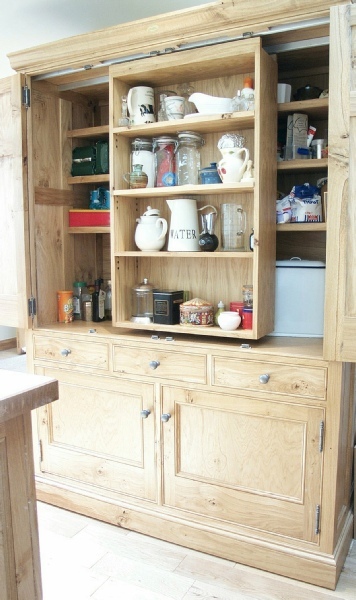 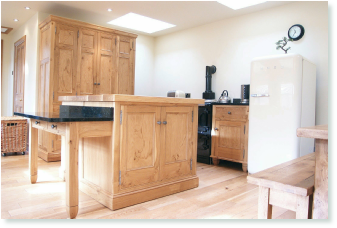 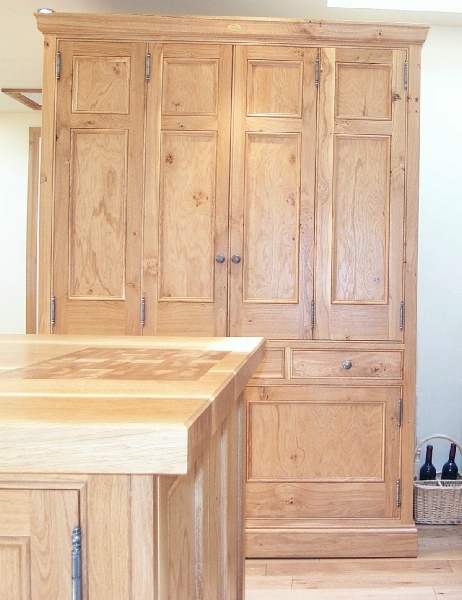 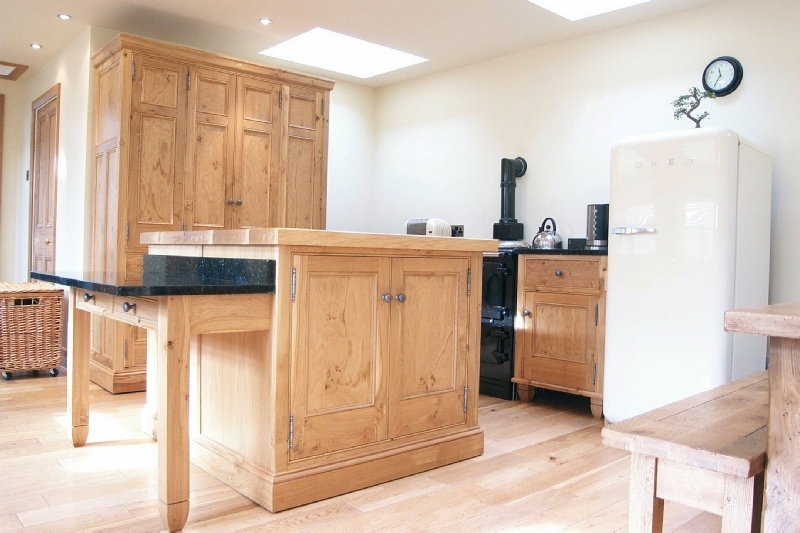 The island’s worktop is solid Oak with a large end-grain chopping board built into the surface. 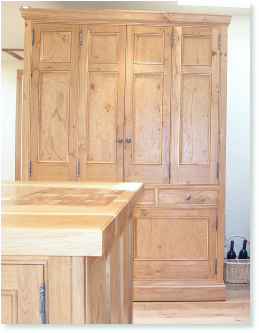 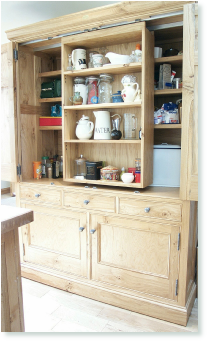 The imposing larder features a suspended sliding shelving section and concertina style doors for easy access to all areas of the cabinet. 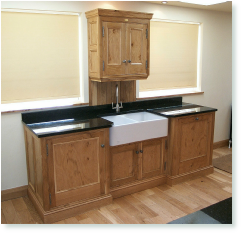 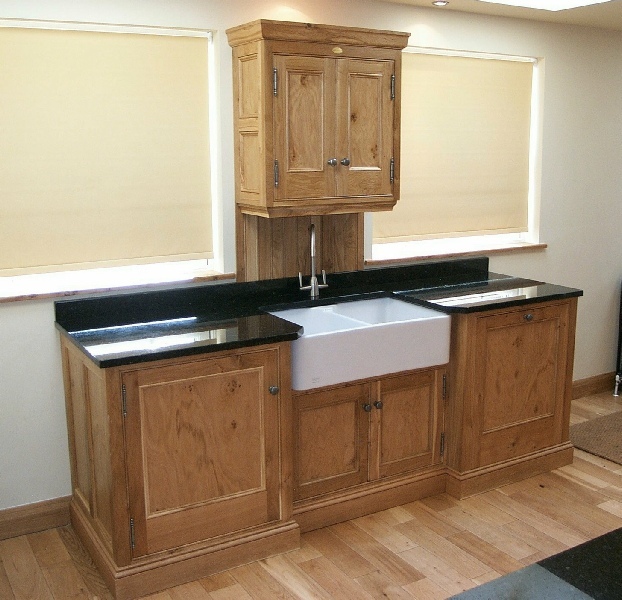 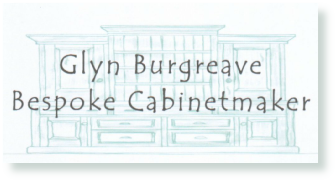 The break-front Belfast sink cabinet, with granite worktop, houses the integrated washing machine and dishwasher.